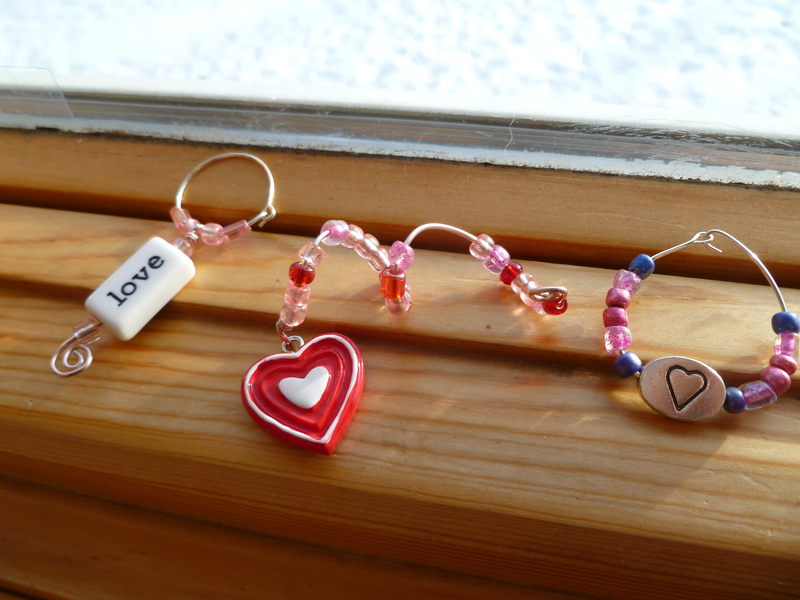 Couple of random wine charms that I made the other night in honor of that great Hallmark holiday–St. 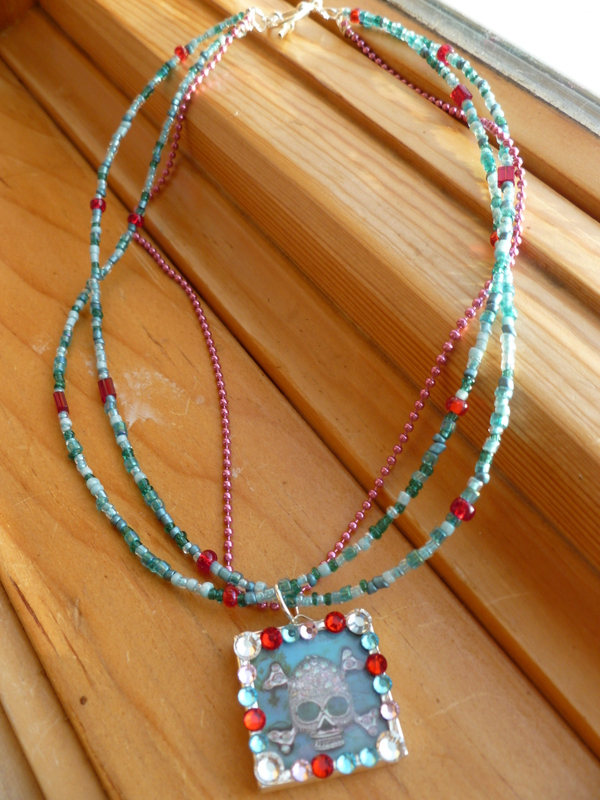 Wine-n-tine’s Day. 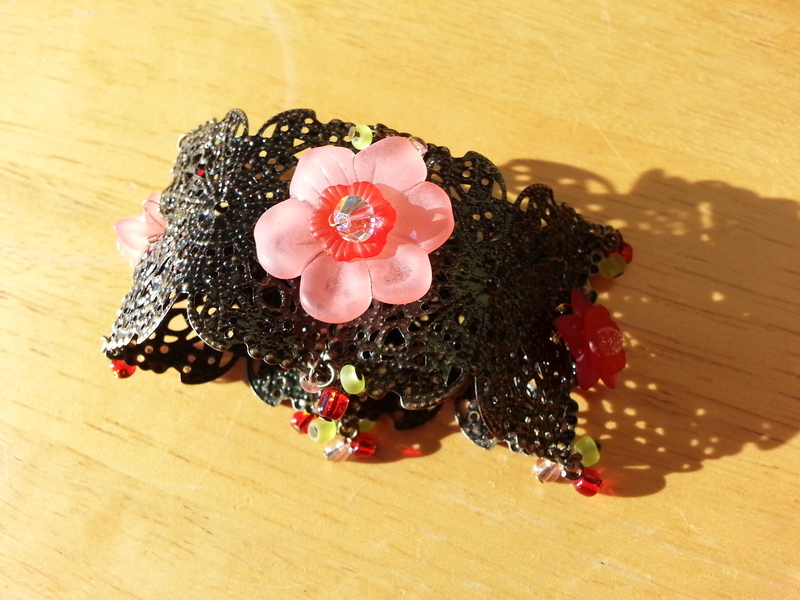 A mix of glass seed beads and metal and acrylic charms. 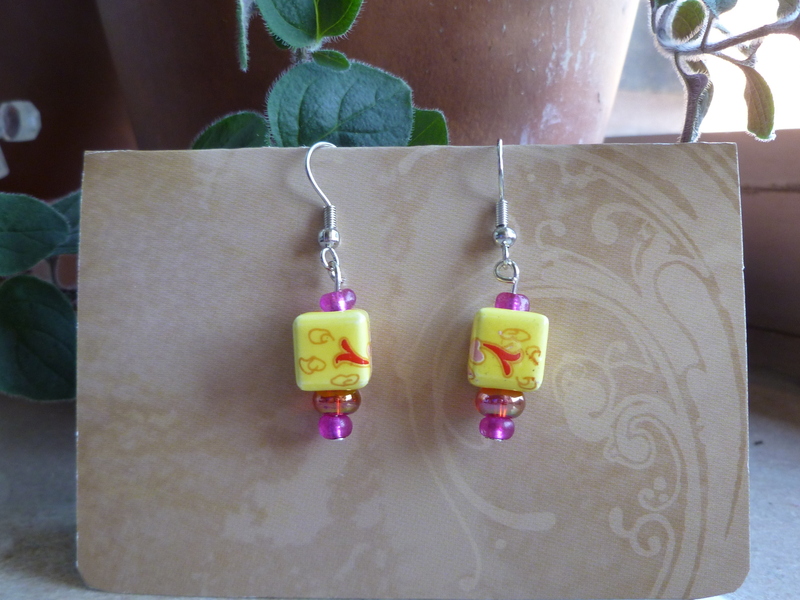 Glass and ceramic bead earrings in hot pink, fuschia, red, and yellow. 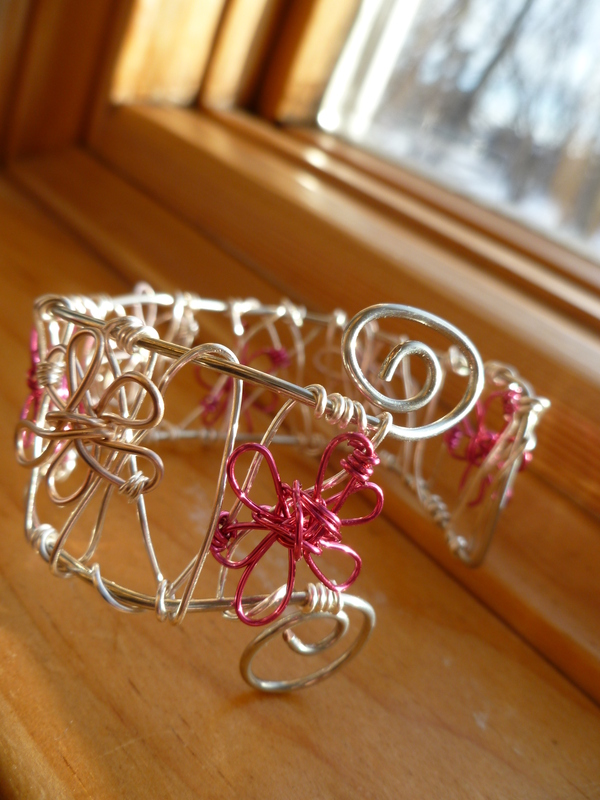 Bright silver wire.